Sire: Versache*/*/-/-/* is a 17.2 hand, Dutch stallion, by the famous dressage stallion, Olympic Ferro and out of an Elite Dutch mare by Idocus Crown, another fantastic dressage producer. 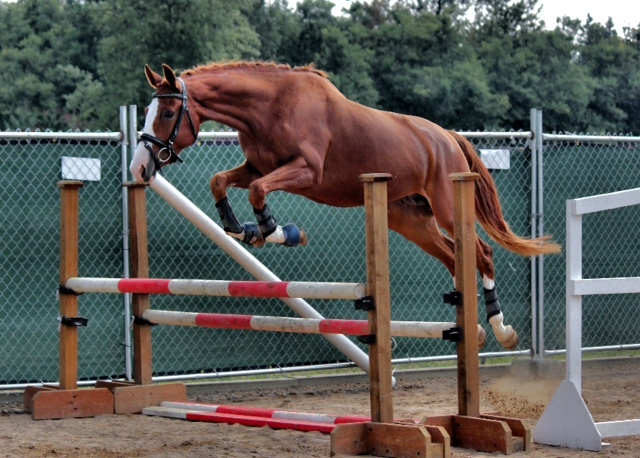 His offspring have terrific natural top lines and well placed necks and strong hind end movement. Dam:Brealante is a first premium ISR/Oldenburg filly. She was site Champion at her 2008 inspection, receiving 8.2 for type, 8.3 for movement, 8.3 for overall impression, with a final score of 8.3. 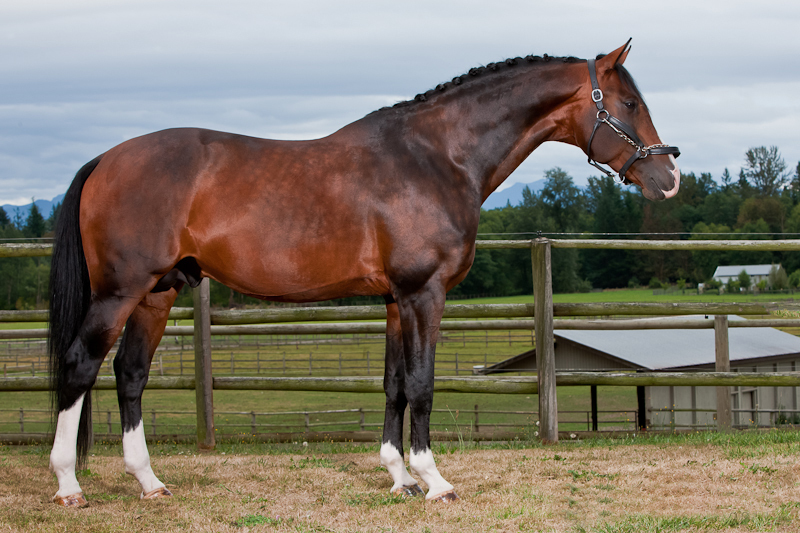 Her sire Briar is the #1 highest ranked dressage stallion in the World by the WBFSH for years 2001, 2004 and 2005.